The Armenian community is among the most important ones in today's Abkhazia. According to the latest, but contested, data provided by Sukhumi's statistics office for 2003 (the equally contested results of the 2011 census have not been released yet), the entity has 45,000 Armenians, about 20% of the population – but much more according to other estimates. What are the main activities of the Armenian community organisation in Abkhazia? Education, culture, sports, family support, youth... everything a social organisation deals with. We are not a political organisation. You started with “education”... what is the situation? Abkhazia has about 8,000 pupils of Armenian nationality – 2,000 pupils study in one of the 32 different Armenian schools, the others attend Russian schools. These are all state schools. Most Armenian schools have all 11 grades, while some – especially in smaller, less populated villages – have less, like 9 or 4 grades. In towns, even where there are Armenian schools, parents have started to think it is better to send their children to Russian schools. We would like for that to change, for more children to study in Armenian schools. However, it is not easy...schoolbooks are flown from Armenia to Adler [an airport in Russian territory close to Abkhazia]. Furthermore, there is a lack of staff, the teachers' average age is becoming higher and higher, so we have to hire Russian teachers for some subjects. Why do people increasingly prefer sending children to Russian schools? It is very simple. Russia is a big, solid and neighbouring country with many study and work opportunities. Parents believe Russian-schooled children will be better off in furthering their education or finding employment. In the dossier, besides this interview, a feature story on Abkhazia's language law and an interview with a well known Abkahzian writer. But also photos with the stories of those Georgians that twenty years ago were forced to leave their homes. What are the contacts with Armenia? There are contacts, exchanges; we send students or teachers there for some catch-up courses. However, lack of roads forces us to fly. In addition, flying from Adler to Yerevan is twice as expensive than flying to Moscow, even if Yerevan is much closer. There are two Armenian literary languages – eastern and western. Armenians living in contemporary Armenia speak the eastern variety, while those living in Abkhazia speak Hamshen, a variety of western Armenian, but with many specificities. This happens because Hamshen people have been living separate from others (in the north of today's Turkey, between Batumi and Trabzon) for 1,000 years already. In the area, now live the hemshinli, Armenians turned Muslims. They speak basically the same language, although we have lived apart for over a century now, so there are some differences. The Turkish call them hemşinli and do not recognise them as Armenians...but they are – they acknowledge their roots themselves, even if they changed their surnames. Therefore, Abkhazia's Armenians speak Hamshen at home, but study eastern Armenian as spoken in Yerevan at school? Yes. When they go to school, they basically learn a foreign language. They do not use their native tongue, but literary eastern Armenian. With time, eastern-Armenian words have increasingly entered our daily vocabulary, also because that is the language of our newspapers and magazines. In Abkhazia, we can watch six Armenian channels on cable, including some broadcasting in western Armenian, which is very widespread within the Armenian diaspora, that mostly has it roots in Anatolia. In addition, many great Armenian authors have written in western Armenian. 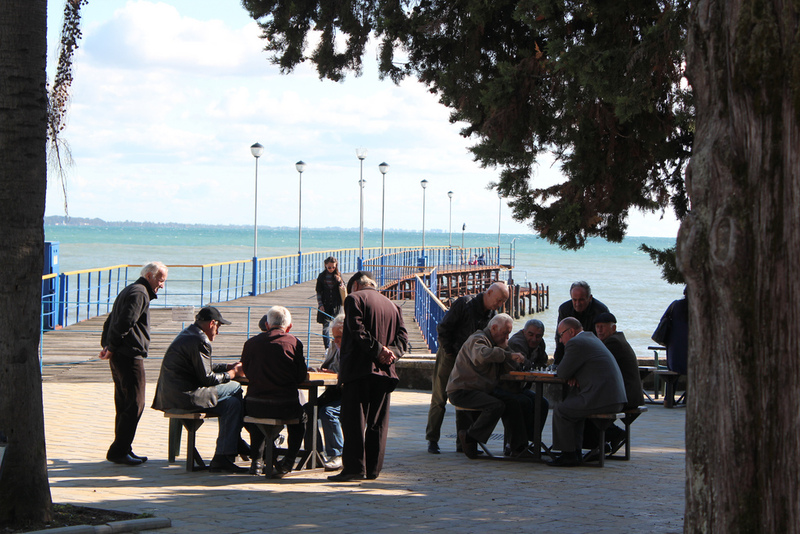 Several years ago, Sukhumi's authorities approved a state language law that requires, starting from 2015, knowledge of the Abkhaz language in many areas; e.g., in order to work in public offices. Considering the current level of proficiency among non-Abkhaz inhabitants, this law seems hard to apply, especially with this deadline. I believe a law protecting the Abkhaz language is necessary if we want to build an Abkhazian state – and we would not have fought such a bloody war if we did not. Moreover, those who live in Abkhazia have to understand that. I think inhabitants of France or Italy would not even conceive of living in a country without speaking French or Italian. If I think of Russians living in Baltic countries for decades and never studying the local language...well, it does not seem very correct to me. This law aims at supporting the development and spreading of this language, but as a long-term objective. On our side, there are no complaints. We want our children to study Abkhaz, and in Armenian schools they do, but not enough. If they live here and do not study it, in 15-20 years they are going to have problems. For example, they will not be allowed to work in public institutions. Yet, the most widespread language in Abkhazia is undoubtedly Russian. Basically, everyone speaks Russian. 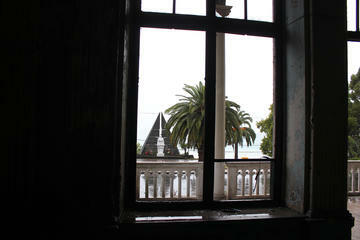 Abkhazia is a multinational territory where everyone speaks Russian. However, I believe it is important to develop the Abkhaz language for real, not only in principle. Sure, it seems easier to say “let us all just speak Russian” and not grapple with these issues. Nevertheless, we also need to think about this. When we take a flower and keep it in a book, it is because we value its importance and beauty. Isn't a language a precious heritage for all humankind? Anyone who supports Abkhazia also needs to support a language that survived for centuries in difficult conditions. If we give up on Abkhaz today, the same will happen to another language, then to Armenian, and maybe some day to Italian. As regards the implementation of the state language law, we do need to consider realistic timetables. If we start by supporting study of Abkhaz for children who are now in kindergarten and they continue through their studies, they will eventually be able to speak Abkhaz. But this is going to happen in 15-20 years...and this new generation can legitimately be expected to master Abkhaz. This means your children will speak Hamshen Armenian, eastern Armenian, Abkhaz, Russian, and possibly another foreign language, like English? In Europe, speaking two or three languages is normal. So it is in most parts of Asia. If the teaching method is right, speaking four languages can be normal, it seems completely realistic to me. This is what happens in other countries. For example, in Belgium many speak Flemish, French, German, and English...four languages. The important thing is to preserve your own language.